Do we defend the dignity of others or glory in their demise? Mussar—personal discipline and strengthening of positive, godly attributes—is a holy endeavor and one that is sorely needed in our day. 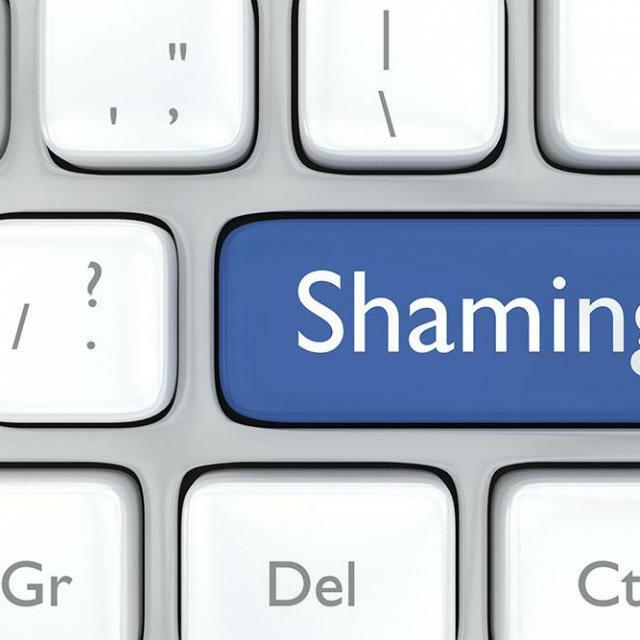 To my dismay, I am finding that our society greatly lacks mussar and has fallen into rejoicing over public shaming. Social media has been a brilliant tool for exchanging ideas, sharing information rapidly, and keeping connected with loved ones and coworkers. There have been some wonderful innovations that have come through these media. However, although it has brought out some of the best qualities in human nature, it has also revealed some of the worst. While perusing through my social media pages, I found an article that was celebrating witty (a.k.a. cunningly mean) retorts to social media posts or private text messages. The page showed all the “busts” or “disses” that people have dished out, and this was meant for our entertainment. I will admit, I found some of them funny, even quite clever, but by the end of the list I felt ashamed that I fell into this trap of accepting and laughing about public shaming. Do We Know What Dignity Is Anymore? Every day I am bombarded with everyone’s opinions on every possible matter under the sun on social media platforms. Opinions that are not solicited are thrown in our face, and many times instead of letting these people have their opinions, we also (unsolicited) give our strong opinions, sometimes ending in childish name-calling. I cannot point any fingers at anyone in particular, as I have been guilty of both sides of the coin myself. We do not allow people to keep their dignity. We do not even allow ourselves to keep our own dignity. We post updates of what we eat, where we go, how we feel, our sexual preferences, or whatever happens to be on our minds. Nothing is private. Nothing is sacred. In this culture of virtual transparency we air our thoughts and desires without much consideration. Then we jump on others, positively or negatively, when they air theirs. Every time we go somewhere we need our slew of social media friends to know. Every time we are with friends we need the rest of our friends to know that we are out with other friends. God forbid anyone thinks we are not popular or know how to have a good time! We seem to get our sense of affirmation from how many likes we receive to a post or a picture, or how many comments we generate. This boosts our egos greatly for some reason. We also like to promote our opinions about different subjects about which we are passionate. We promote our ideas or political opinions through sharing articles or updates, many times trying to incite a debate or to get everyone else’s approval of our positions. We do this instead of figuring out real ways to actively affect change. I am not saying it is bad to share articles or opinions; information is great and powerful, and social media has had a positive impact on information-sharing in many ways. But what are our motives, truly? How do we treat the people who disagree with us? And how do we treat the people with whom we disagree? 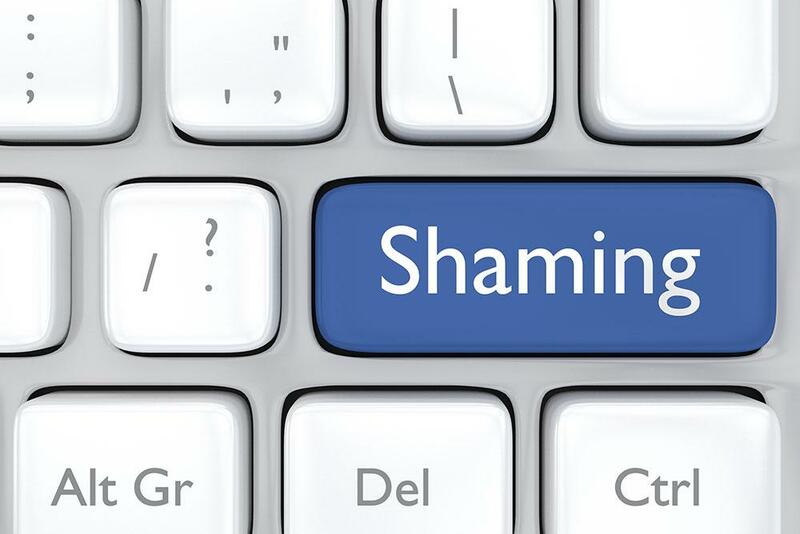 There are a few leaders in this movement whom I know specifically remain off of social media for the distinct purpose of not falling prey to public shaming, spreading gossip, or constant update of everyone’s stream of consciousness. While I do not bear the same convictions, as social media is a very effective tool for me and a great means of remaining connected to family and friends as well as my professional colleagues, I understand their choices and respect them. Social media is not our only outlet. We have become accustomed to watching TV shows that capitalize on people’s bad talents or making fools of themselves. We tend to be enthralled whenever a scandal arises with a celebrity or public figure, especially when it involves a sexual or drug addiction. We love seeing people whom we might think are better than us—or people that we perceive as thinking that they are better than we are—fall and fall hard. We glory in others’ demise, especially if we do not care for those people. I am not saying that we should not be aware of misconduct, especially if it is in our elected officials, but our national attitude seems to be one of delight and entertainment. Seldom do we try to defend the dignity of others. I cannot claim to be guiltless; in fact, I have been guilty in all these scenarios I have presented at one time or another. My musing is as much a conviction for myself as a call to my fellow believers to reconsider our online presence and our “anonymous” interactions. We say things as avatars online that we would never in a million years say to someone face-to-face. We interject online much more strongly than we ever would if that person were standing in front of us in the grocery store line. Perhaps if we tried to imagine that person before us, seeing his or her face drop, the hurt emotions or the anger, then maybe we would not say some of the things we type. I know I have had days that my heart sank because of something I read directed toward me, and I greatly mourn over the times that I must have inadvertently done the same to others. Since we are disciples of Yeshua, our love is to be what distinguishes us most from the rest of the world. Our main export and brand name is love. I challenge all disciples as I challenge myself. Let us shed this aspect of reveling in public shaming. Let us consider our interactions, be they anonymous or not, and let our words, even if written and virtual, be ones drenched in love and compassion. May everyone be able to recognize the disciples of the Master, both in spoken word and deed as well as in our online chats.